That, my friends is the question. Apparently the answer to that is DEFINITELY to tutu. Most certainly. Indeed. Wouldn't you say? 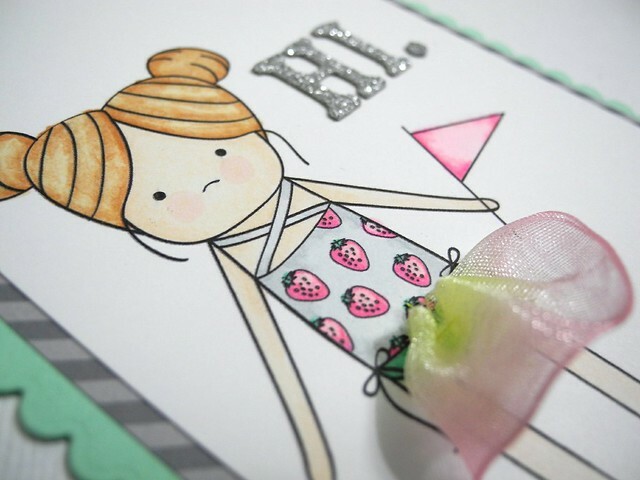 super cute digi stamp! What?! Yup. Totes cuteness and totes freeness. It's all happening. AND, I was lucky enough to get that image a bit early to show it off a bit! Ummm... you are seeing that image, right? CUTEST EVER! And as soon as I saw it I just KNEW I'd have to add a tutu. It was necessary folks. For reals, though. To create the tutu I ran a quick gather stitch through the edge of a sheer piece of ribbon. I stitched the ends under just a bit and adhered it with some Scor-Tape. She is colored in Spectrum Noir's finest colors of the summer. HA! Be sure to head on over to Elena's Blog, Just Me Prints to download the free digi! The complete list of those offering some adorable inspiration can be found below! Happy Hopping! You can find the links to the other products I used below. 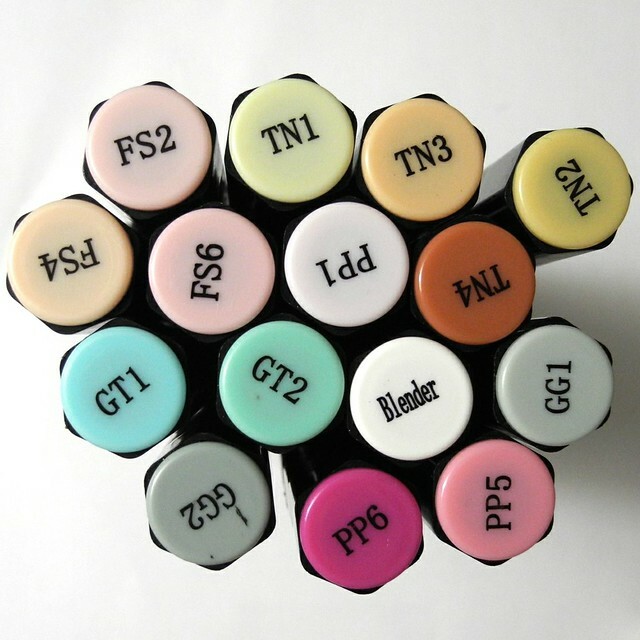 I have also included this photo of the Spectrum Noir pends I used to color this sweet image! haha, always tutu. you're too funny and she is tutu cute! I love that you added a different spin on her. xoxo. Lol.. Your headlines always make me giggle.. How funny! Oh my stars!! Absolutely sweet card!!!! That tutu..soooooo cute!!! Definitely always tutu! Love that idea - you're a genius! And they little image is freaking adorable! Eek!! The tutu is so freakin' cute! I love what you've done with the image. Super duper cute, Jennifer! Oh so SUPER cute & sweet! I love the soft grays and those strawberries! Seriously adorbs! Oh my gosh!! I LOVE that you put a tutu on her!! Soo cute!!! LOVE the added tutu!! Very adorable! The tutu is so cute! LOVE!!! yes...yes it is the cutest. love the tutu!